Jesus is in charge of Benfica in the last year of his contract and has the possibility of doing what hasn’t been done since 1983-84, which is winning back to back domestic league titles. Will that be enough to make this season a successful one? Following two seasons that saw Benfica reach the Europa League final, and win all four domestic titles (2013-14 season), is winning the domestic league for two years in a row enough to make it a successful season for Benfica and Jesus? This is the question that I have been debating in my head as we go into the second half of the season. At first glance and when you look at what was achieved last year the first reaction is to say no. This isn’t enough at all, rather the minimum fans should expect. 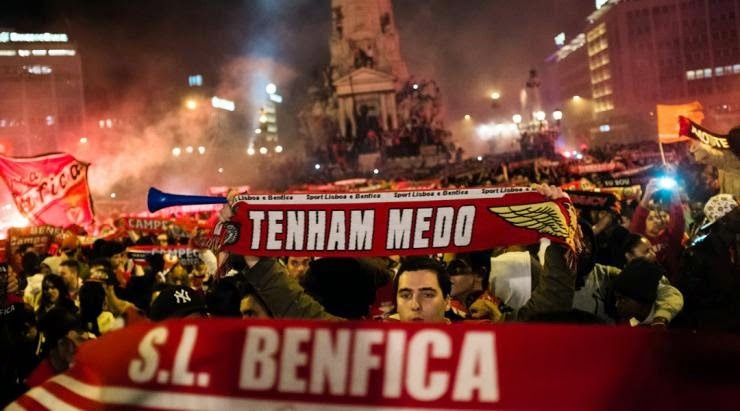 After I reflected on what has been Benfica’s performances in the last couple of years and with Jesus and the fact that Benfica hasn’t won a domestic title in back to back years since the early 80’s I am tempted to say yes, it is enough. Winning the domestic title is the main goal for Benfica going into any season, therefore if you achieve it, you had a successful season. Doing it so in back to back season’s since the early 80’s adds to that factor and makes it even more special. All other competitions are secondary. I am not saying that they are not valuable, all I am saying is that winning the league is the main objective, so reaching the main objective while failing the secondary objectives is not a failure in my books. The only way Benfica can grow in the future and surpass Porto is by continue to win the domestic title. You can’t fight with Porto for domestic supremacy by winning the Liga Cup or the Portuguese Cup and failing to win the title. In addition to that, winning back to back titles would put Porto in a position that they have only experienced once in the last 30 years, of not winning a title at least every other year. Taking this title would mean a lot for Benfica, their fans and their quest to regain control of the domestic league. While other failures this season have hurt the club, winning the domestic title back to back would be an end to what would be considered by many a successful season.